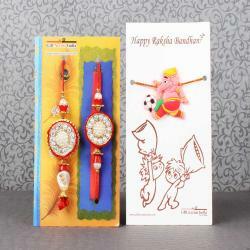 "The best way to make your loved one feel special on the eve of Raksha Bandhan is to surprise them with this amazing gift pack which has a round shape Kundan Bhaiya Bhabhi Rakhi along with kids special Doraemon with Modi and Nobita Rakhi. 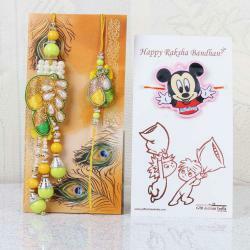 These beautiful Rakhi are tied on the Rakhi special card to keep them safe and secure. Round dial of the couple Rakhi beaded with pearls, stones look awesome. Your gift will make them happy and they will cherish it for life. Gifting this kind of combo is a way to make them feel special. 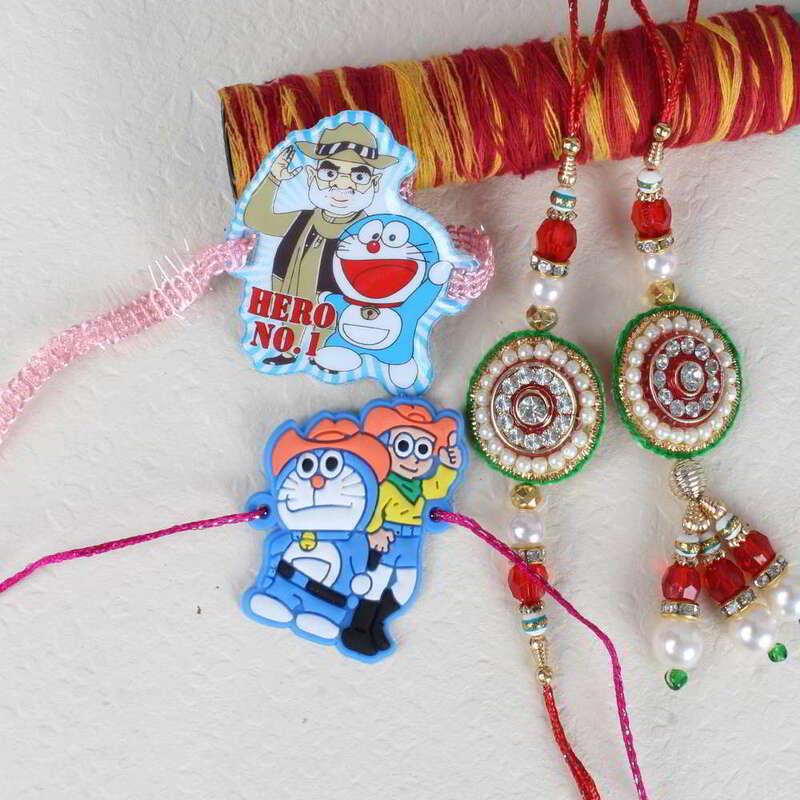 Product Consists: Round Shape Kundan Bhaiya Bhabhi Rakhi, Doraemon with Modi and Nobita Rakhi for Kids nicely tied on a Designer Card.